awesome!!!!!!!!!!! Poor Jake. He's really crammed in that van. I fear for my safety if you are snapping pics on your scoooter. You can't tell, Alison, but we were at a stop light and I quick snapped a photo. Safe driving is key! 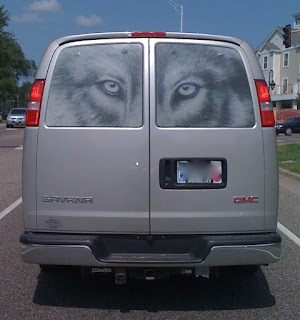 Oh my... that would freak me out if I was driving behind that.